Okay, this move is real. After visiting our new town, I'm a bit overwhelmed, just as I knew I would be. After looking at housing options, it is abundantly clear that we have about twice as many possessions as we will have space for. This is pretty much the case for every room in the house. Yikes! Closet Space - Most likely there will be half as much space as they currently have. Also, the closet bar is too high for them to use on their own. So, unfortuantely, they end up leaving clothes on the floor far too often. Dresser - Right now they have an Ikea Hemnes 8-drawer dresser. Honestly, I don't think this will work after we move. It was great when it doubled as a changing table, but we're past that stage of life now. It just takes up too much floor space. I've got to find something smaller. Toys & Books - We have toys and books covering pretty much every space in the room -- on the bookshelf, in the closet, under the bed, etc. 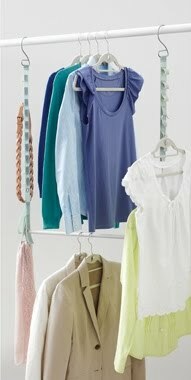 Buy an adjustable closet doubler. I've never actually used one of these, so I'm not sure how effective they are. But, I figure it's worth a shot. I'm hoping that this will double the hanging space and make it a bit easier for the girls to get their clothes (and put them away) on their own. It frustrates me to no end to find clothes all over their bedroom and closet floors. An extender like the Neu Home Closet Doubler from Amazon or the Real Simple Double Hang Closet Rod from Bed Bath & Beyond just might work. 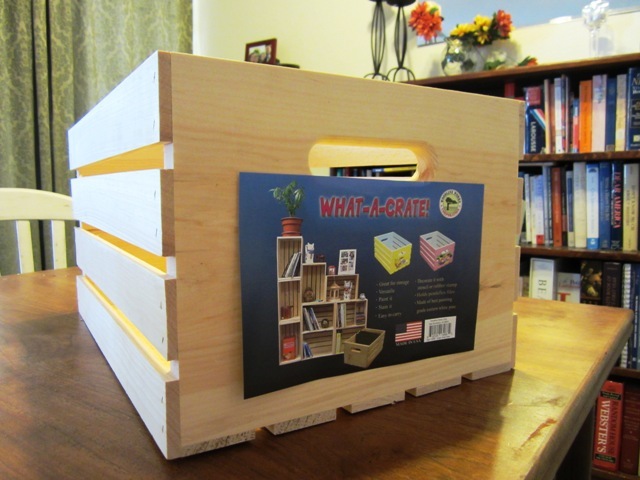 Make toy storage easy for the girls to use on their own. A few years ago, my husband built a beautiful bookcase for the girls. We use it to store both books and toys. However, some of the toys are difficult for the girls to get down on their own. The puzzle basket is just far too heavy for a 3-year old to lift off of the shelf. So, I've decided that wooden crates under the bed are the way to go. Brett bought a couple of them for me for our anniversary to symbolize the move that we're making. I'm going to buy two more. They fit perfectly under the bunk bed. One will hold blocks, one will hold puzzles and then each of the girls will get one for their own possessions. Whatever doesn't fit on the bookshelf or in their box will have to go. Sad, but true. Change shoe storage. Right now the girls keep their shoes in the bottom drawer of their dresser. However, if we downsize the dresser, we won't have room for shoes there. A 3-tier stackable wood shoe shelf on the floor of the closet just might be the solution as long as it doesn't interfere with the closet doubler. They can each have one shelf for their shoes and the top can hold larger shoes like rainboots. So, these are my plans for now. 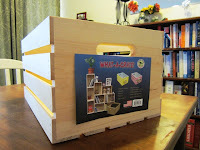 Today I'm going to finish up "pink-washing" the toy crates and then get the girls to decide on which treasures to keep. (Check back tomorrow if you want to see the finished crates!) I'm crossing my fingers that these solutions will work for all of us. You can do it! One thing that came to mind was building minimal wardrobes for the girls, like this: http://pinterest.com/pin/48381145/ They could mix and match their clothes and you wouldn't have so much, either. You'd probably need one set for each season, though. Thanks for the encouragement sis. Yeah, I would love them to have a mix/match wardrobe. I realize that they rarely wear anything other than dresses. Not sure how that's going to work in an area that has four seasons! Layers, I guess.